Limited time offer: Free Paytm Movie Voucher worth ₹200 for every transaction. Are you an FC Goa superfan? 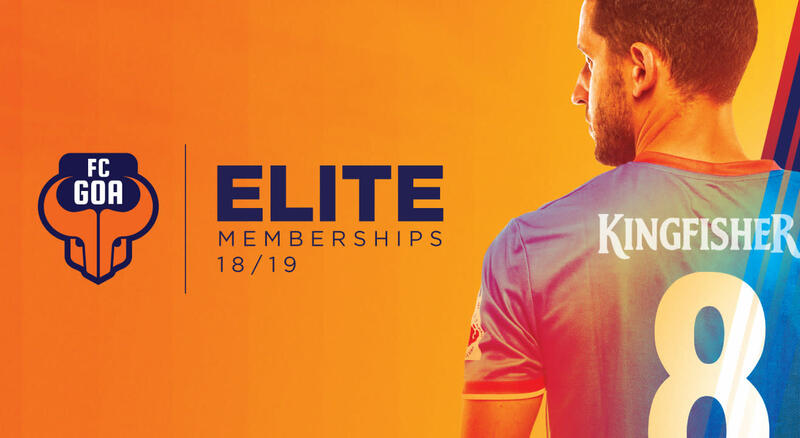 The Elite Membership helps you get more. Read on for details of what you get, for ISL 2018-19. ISL Season 5 starts on 29 Sep, 2018. While the 2019 dates are not announced yet, they will be updated shortly. Check out the schedule as it stands currently, here. Matches in bold are home games. Matches that are linked have tickets on Insider - click to buy. FC Goa is an Indian professional football franchise based in Goa that competes in the Indian Super League. The club was launched on 26th August 2014 and is owned by Goan Football Club Pvt. Ltd. Legendary Brazilian footballer, Arthur Antunes Coimbra (Zico) was the club's Manager for the first three seasons of the Indian Super League. Since the fourth edition, former Barcelona C coach Sergio Lobera has been managing the team. Former Brazilian skipper, World Cup winner and UEFA Champions League winner, Lucio and French superstar Robert Pires have also played for the franchise. The club has been one of the success stories of the league has reached two semi-finals and a final in three of its four seasons. The squad comprises of a vibrant mix of youth and experience and has one of the biggest contingents of local players with names like Mandar Rao Dessai, Laxmikant Kattimani and Lenny Rodrigues representing the club. The club's Spanish striker Ferran Corominas was the league's top scorer having netted 18 goals in 20 games in the 2017-18 Hero ISL season. The club plays their home matches at the Jawaharlal Nehru Stadium in Fatorda, Goa in front of close to 19,000 supporters which has helped make their home a fortress. They have been top scorers in the league stage twice along the way. This is a side that is built on the spirit of its people. Fearless, attacking and full of spirit. Born on the shoulders of the legendary Zico, the Goan club, with its incredible fan base and love for football has focussed heavily on positive, attacking football. The signings of Lalthuammawia Ralte, Lenny Rodrigues, Nirmal Chhetri and Jackichand Singh ahead of the 2018-19 season highlight an intent to focus on the best Indian talent and it will be fascinating to see how they balance their love for going forward with pragmatism to achieve the results they desire. FC Goa is a side that has been knocking on the doors of ISL success and the 2018-19 season might just be the perfect opportunity to finally make their mark.